And not for the obvious aspirational reasons, involving a Utopian future. I got to thinking lately about various grammar prescriptions as they relate to Star Trek. For instance, the old saw that one shouldn’t split an infinitive, which some weirdo came up with long ago while laboring under the misapprehension that English should be like Latin for some reason. Those in the know realize that this particular rule doesn’t have a leg to stand on, but it still gets play. 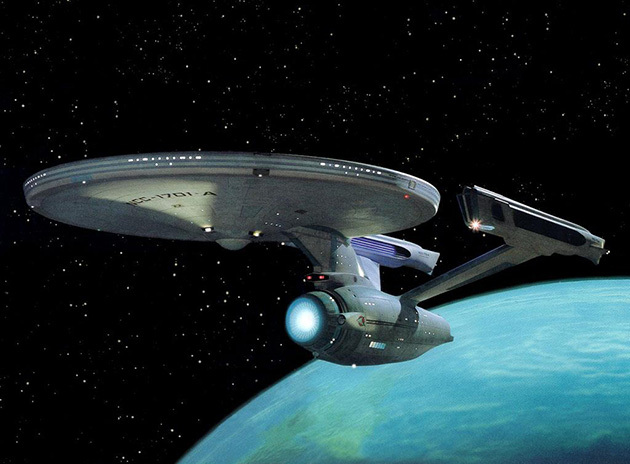 The thing is, unlike a lot of silly grammar prescriptions that some random person came up with, we have a wonderful counter-example looking us in the eye all the time: Good old Star Trek, and its “Five-Year (Continuing) Mission: To Boldly Go Where No Man (No One) Has Gone Before”. So fine, an English teacher once told you not to split an infinitive, but what should Gene Roddenberry have gone with instead, smart guy? “To Go Boldly Where No Man Has Gone Before”? Blah. Lands with a thud, amiright? I’m agnostic on the difference between the old-school “No Man” versus “No One”, but clearly keeping that infinitive together doesn’t work as well. Of course, the ironic thing is that people often hold up Star Trek as an example of something that breaks the rules without seeming to realize that they’re undercutting themselves. Of course, such is often the case. But wait! Not only does the opening of Star Trek split and infinitive, it uses an adverb! So let’s “correct” it fully (see what I did there? ): “To Go Where No Man Has Gone Before, In a Bold Fashion”. Is this really better? Bah. Of course, that’s the problem with absolute rules. You can come up with all the examples you like where splitting an infinitive is confusing or throwing in an adverb is annoying, but all it takes is one counter-example to show why the rule shouldn’t be applied mindlessly. ~ by smwilliams on March 29, 2012.